In summary, Atlanta haunted house discounts are not always easy to find. Looking to getting to get the crap scared of out you for a good price? Well, you are in luck because Netherworld has a great deal going on this week. We always love haunted houses. Moreover, It is a great way for a group of family and friends to get together. You can get more people to come with the Atlanta haunted house discount that we found for you. 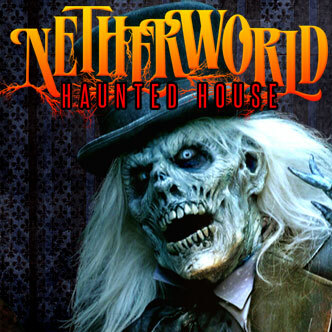 Netherworld has been in Atlanta spooking people for years. For a limited time, you can use coupon code “RADIO” to save: $19.97 buys your combo ticket for Monsters & Vault 13: Meltdown at Netherworld Haunted House, thanks to a deal I heard on on 105.7. The discount is valid for admission on October 3, 4, or 5, 2016. Netherworld Haunted House is located in the Georgia Antique and Design Center, 6624 Dawson Blvd, Norcross. The haunt will be open nightly from September 30-October 31 as well as November 4 & 5, 2016. Next post Extra Income from Your Smartphone- Uber and Lyft Not Included!